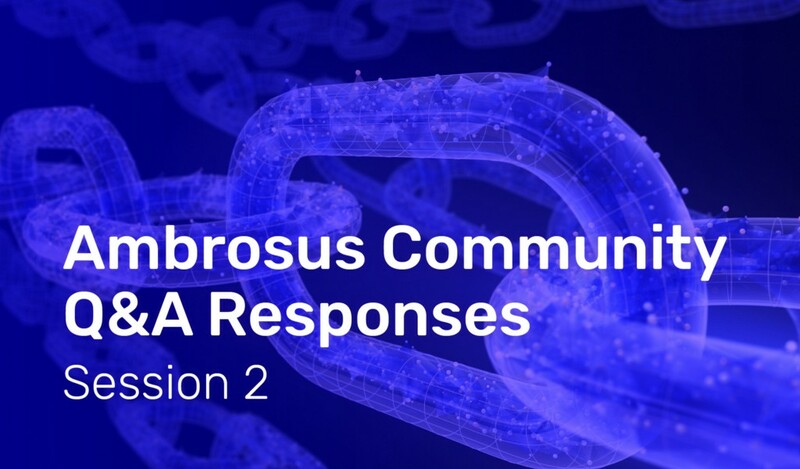 Following a newly introduced community initiative, we are conducting Q&A sessions with Ambrosus community on our Reddit. Community members can post their questions to the team, and the most popular (upvoted) questions will be answered by the team in a Community Q&A blog. Such Q&A sessions will be taking place once every two weeks, and answers will be provided every other Monday (when there is no bi-weekly progress report). We hope you enjoy. As always, any feedback or comments are appreciated! Question 1: Tokenomics question: What is the short/intermediate/long term plan for the 2% percent inflation and heartbeat bundles? At different points I was under the impression that inflation was a permanent reward for Apollos and important for maintaining token velocity (allowing for future Atlas/Hermes node creation and such) and alternatively it was just a temporary measure to support the system while external clients were not contributing sufficient funds to do so. As far as Heartbeat bundles, we were once told “they are created periodically to capture and relay queued transactions from IoT devices” and that they could be a key component of smart city integration. But now they also appear to be a temporary feature used to pay Atlas holders while organic bundle income is insufficient to do the job. Ensuring that the Ambrosus Network is stable, and that the Ambrosus community is able to access and participate in the Ambrosus Ecosystem, is the core priority of the present cryptoeconomic model.